The facilitated projects listed below are available for any school, community, business or organization. We have traveled around the world sharing in these experiences, and the results are always inspiring. Children and adults alike leave with a deeper understanding of themselves and their peers, and leave feeling accomplished with a physical and beautiful representation of their dreams and intentions to share with others. We are always interested in working with new groups, so please get in touch if your interested in working together. The Peace Exchange is an international exchange of art and messages of peace between students of the world. We offer participants blank peace cards (a 6 x 8 inch postcard) to share their interpretation of what peace represents. By first engaging students by asking them to share their vision, their wisdom, and their heart, we connect students to one another. 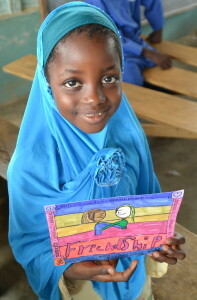 Then, using art as a catalyst, we use their classrooms, their schools, and our global community as we bridge cultural, religious, and racial boundaries to inspire and enrich the lives of all participants. 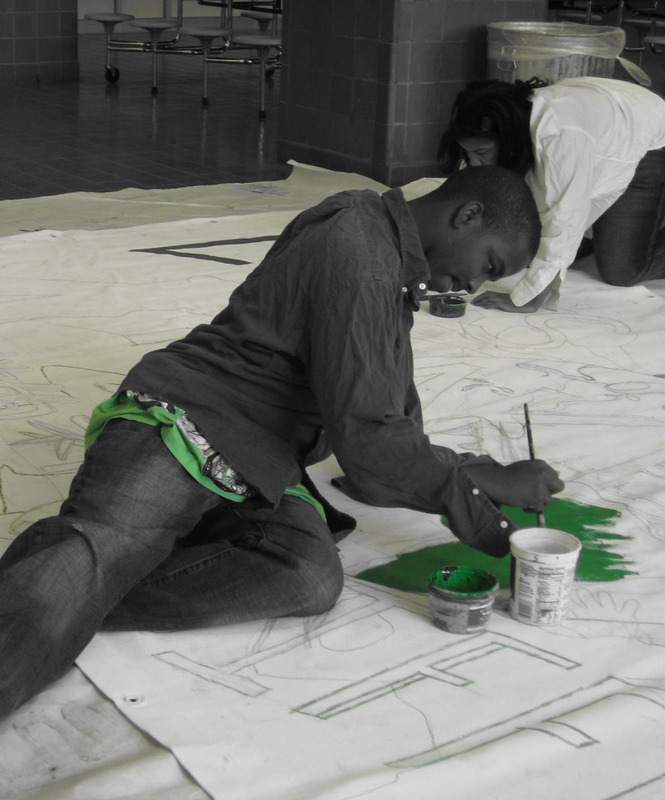 Banners For Peace is a 2-6-week collaborative painting workshop that brings together 4th to 12th grade students to design, develop and paint uplifting slogans and an accompanying mural. The banners are painted on a canvas up to 10 x 20 feet in size, then stretched, framed and can be hung in any location. The finished piece are intended to be displayed in schools as an inspirational art piece. In the past three years, CPP has facilitated this collaborative arts project more than 40 times in Bay Area schools. 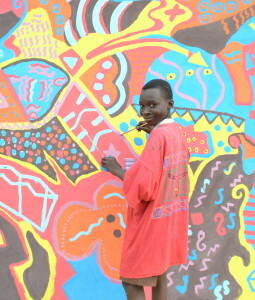 A community mural project engages a group of people in a fun and inspirational activity of painting an uplifting and inspirational work of art together. A Community Mural Project is designed to support students, teachers and their extended community to work together to transform existing “dead” wall space into vibrant and colorful murals. 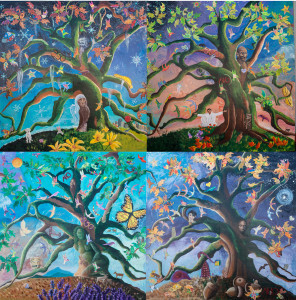 The Singing Tree project is a school-wide, community- building arts experience that brings a large group of people together to co-create and collaborate in the creation of a beautiful giant mural. The Singing Tree uses a motif of a tree on the earth in space. Each Singing Tree asks the participating community to answer a driving question related to an area of particular need, and thus transform a challenge into an opportunity and create something magical as a result. The creation of this mural adds to positive school climate using creativity, collaboration and innovation.